On your arrival in Mahabaleshwar, you will be picked from the station/airport. You will check in to the hotel and rest of the day you will explore the area nearby. Mahabaleshwar has a weather which your soul truly craves for. This famous hill station lies at an altitude of 1373 m above sea level in the Sahyadri ranges. Though, no matter where you stand, you would simply want to gulp in the vivacity of the view around you; but there are many famed tourist points for the same reason. Mahabaleshwar is mainly famous because of an old Shiva Temple in the woods, from where five rivers start their journey different corners of the country. After breakfast you will leave for Panchgani, which is at a distance of 19 Km. Panchgani is famous for raspberry and strawberry farms and surrounding hills. The exuberant green hills and its indefinably pleasant weather make it an exquisite getaway from the chaotic world. 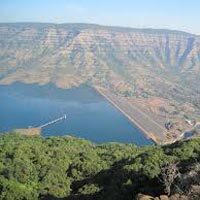 Some of the famous view points are Sydney point and Parsi Point (both of which flaunt the view of lush green hillocks and Krishna valley with Dhom Dham, ndavgad and Mandh rde water streams snaking around. 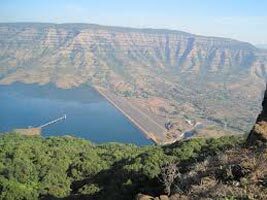 While back on the way to Mahabaleshwar, you will also visit local tourists’ point of Mahabaleshwar. Then by evening you will come back to the hotel and stay overnight. After breakfast, you will leave for Pratapgad, at a distance of 25 Km. In Pratapgad you will explore chambers, ponds and everything else which is amongst the best creation of Maratha Empire. The fort of Pratapgad is the most famous here; which is a hill fort with a massive stretch of pathway. After getting free from sight-seeing you can go shopping or for other recreational activity around. Later, you will come back to the hotel and stay overnight. Post check-out, leave for Mumbai. You will get an assisted drop at the airport/railway station for your onward journey.